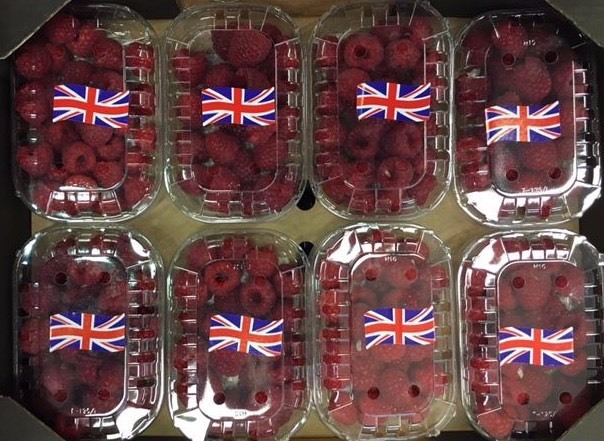 Also from Roughway Farm, Kent, raspberries and strawberries are at the peak of their season. 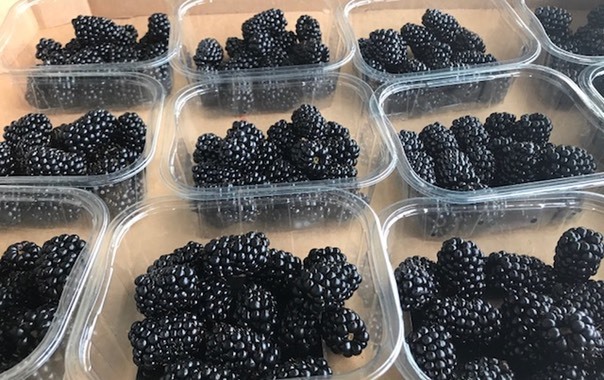 I took an early morning stroll on the market this morning to get some inspiration which I wanted to share with you all…. 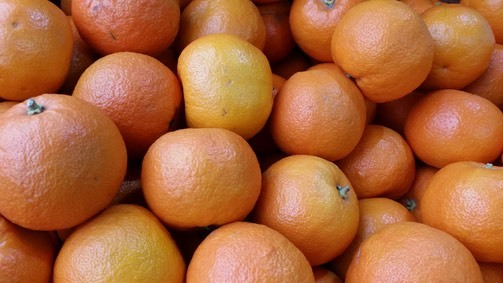 Oranges and limes are up in prices due to switching over to Mexican and South African crops. 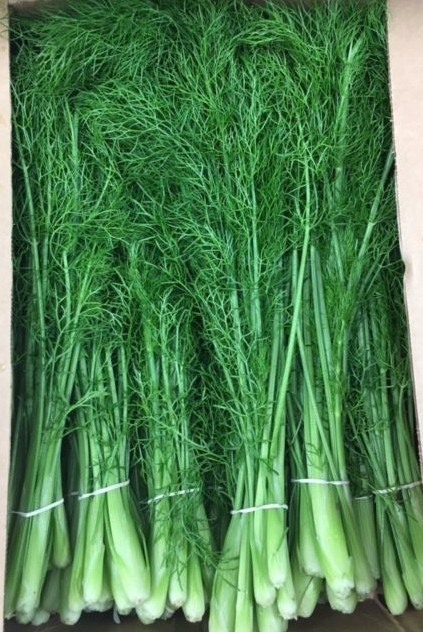 Asparagus is super short; quality and price are not great at all. 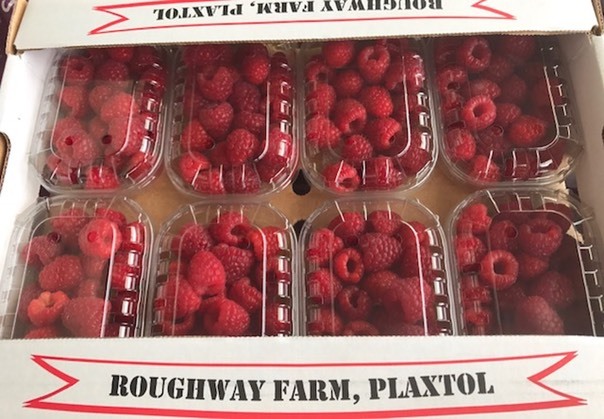 Now available from Roughway Farm, Plaxtol, Kent are these absolutely stunning British raspberries. 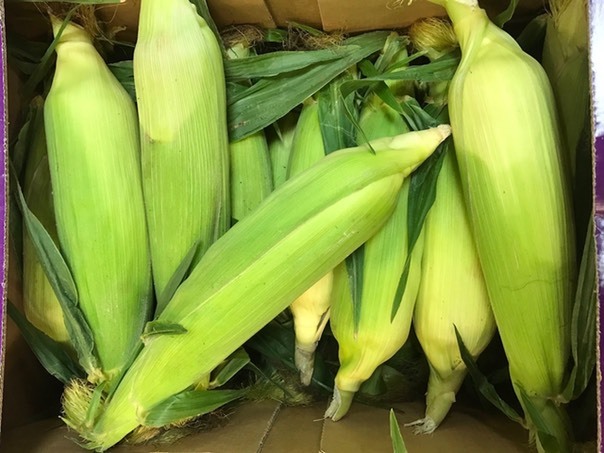 This is their first crop of the season and my oh my are they mighty fine! 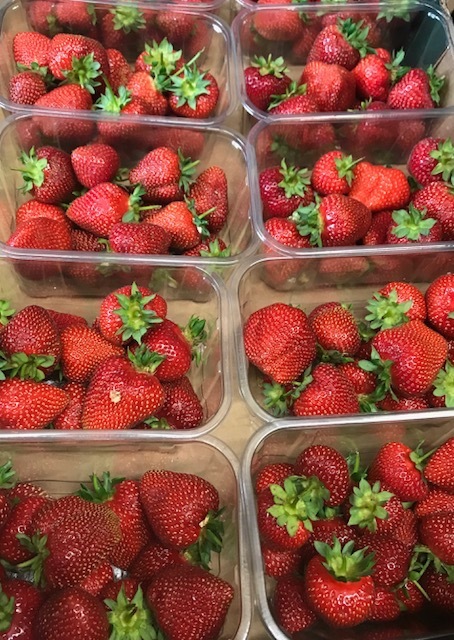 The best thing about these beautiful berries is the fact they were growing yesterday morning, cut and delivered to us last night ready to be in your kitchens today! 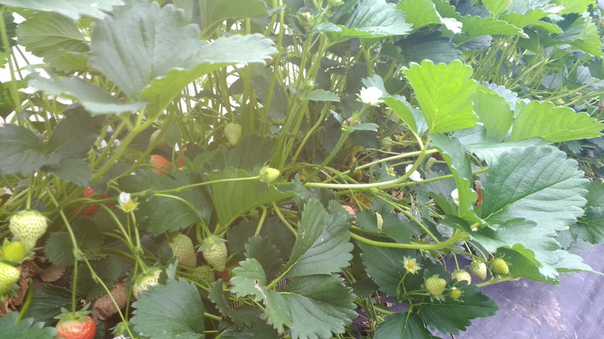 You simply will not get fresher…. 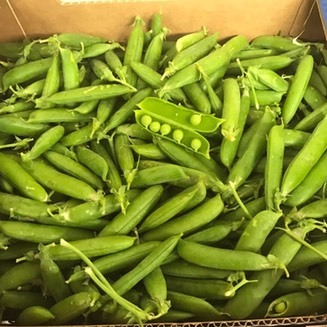 As we are now in the summer months we are seeing an abundance of beautiful produce that will be perfect for your summer menus.... Here is a little inspiration for the week. 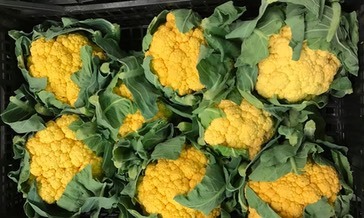 Coloured Cauliflowers are now in a more regular supply and are really vibrant. To keep the colour when cooking either steam or chargrill. 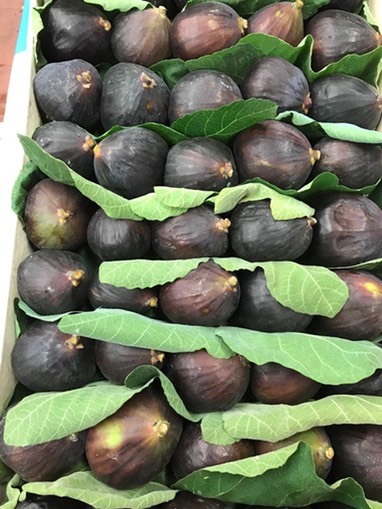 Black figs have also started. 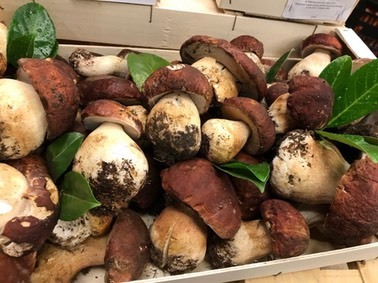 As the season progresses prices will tumble. 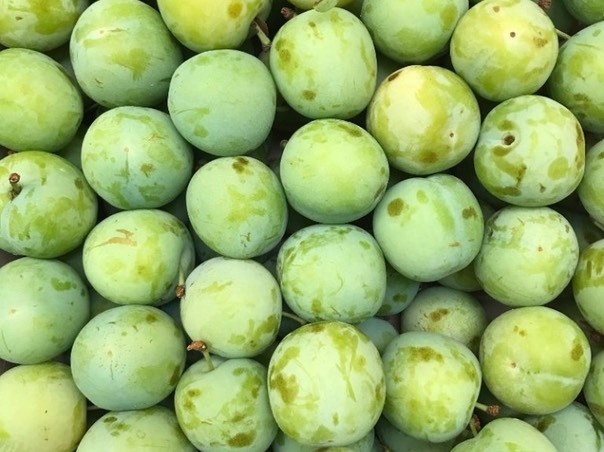 Normal green figs are great value for money too. 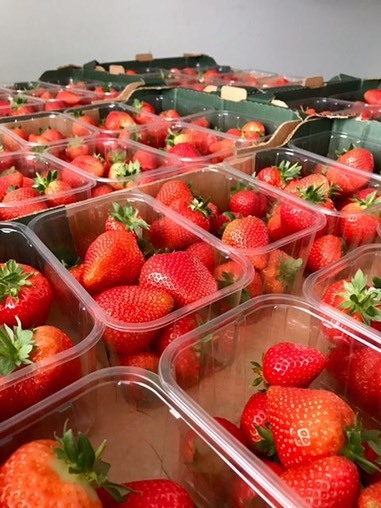 We have been waiting�patiently�for the season to properly start and we are SO excited today as we have literally just taken the first delivery of our British Strawberries grown locally at Manor Farm, Kent. 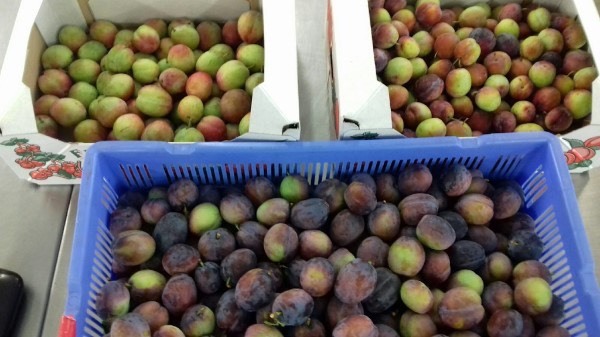 You simply will not get fresher! 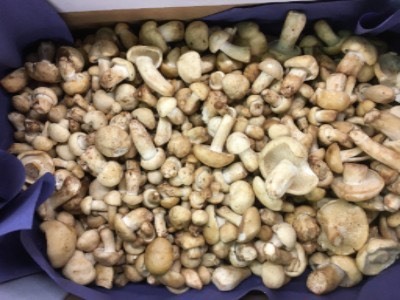 Let's start off with St George's Mushrooms - only around for another couple of weeks so make the most of them while you can. 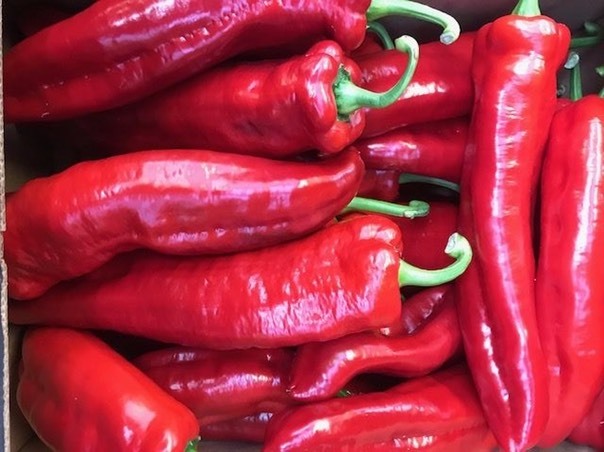 Next up is the delightful Mousseron, they have a big flavour and rich taste. 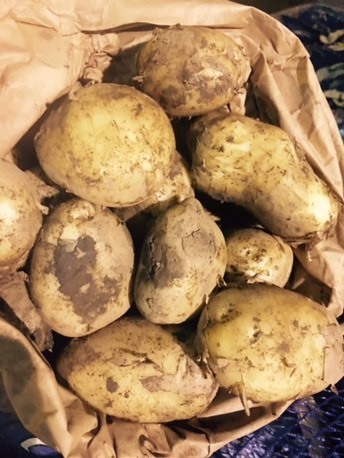 Due to colder nights cauliflowers and potatoes have been harder to harvest causing slight shortages and price increases. 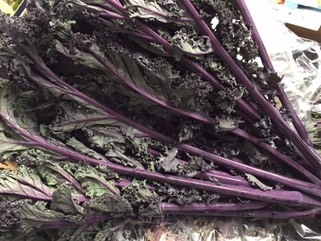 Purple Broccoli is experiencing a blip in the season and again we are having some shortages. Spanish stone fruit is slowly starting to trickle through now; we saw the first peaches last week and joining the party this week are apricots, nectarines and cherries. 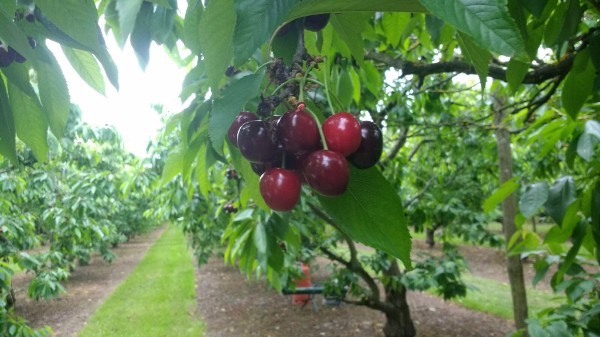 When the season first starts the quality is not quite there and prices are very high (especially cherries) so give it a good couple of weeks before charging full steam ahead on the stone fruit. 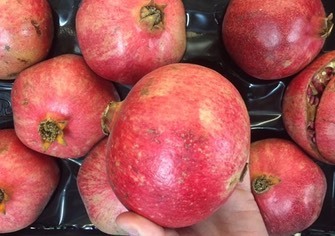 Pink Grapefruit has gone up in price this week due to shortages and we have been warned prices could creep up further. 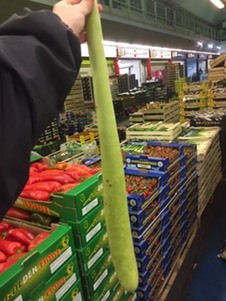 Galia Melon has gone extremely short because of the change in season, expect other melons to follow. 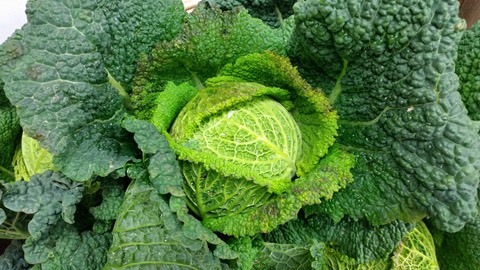 Savoy Cabbage has changed from English to Portuguese so a good time to change over your greens as prices has risen slightly. 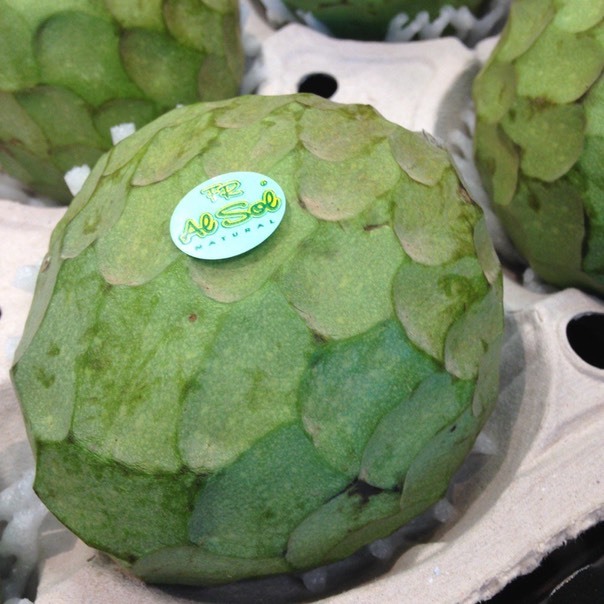 Due to the colder nights, Cauliflowers have not been as easy to get hold of and prices have tightened. 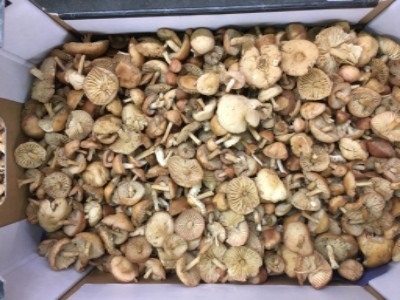 Cornish mids have now started which is fantastic news! 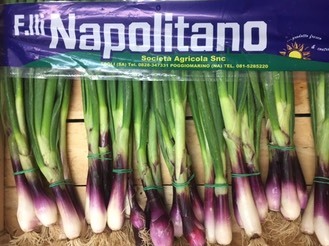 This also is an indication that Jersey New Potatoes will start to tumble in price and should be ready to be added to you menus come beginning of May. 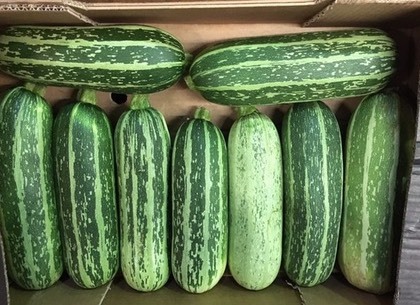 English marrows have now started, a little early so give it a couple of weeks before consistent supply and quality. 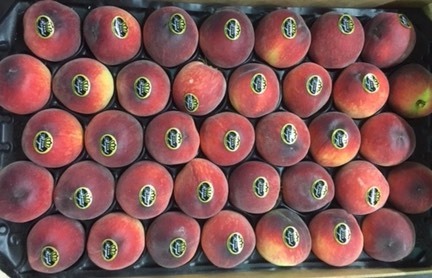 Spanish stone fruit season has now begun with these yummy early peaches, size and price are not great so again leave it 2-3 weeks before relying on a good supply. 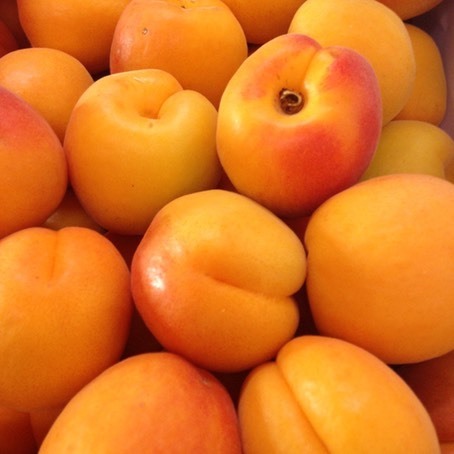 You can expect to see nectarines and apricots start in the coming weeks. 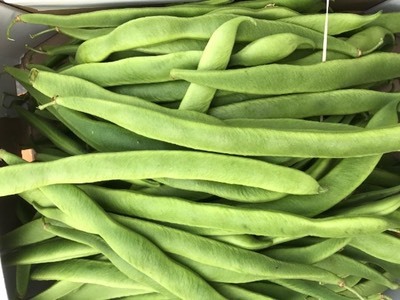 Fresh Italian borlotti beans have literally just started. 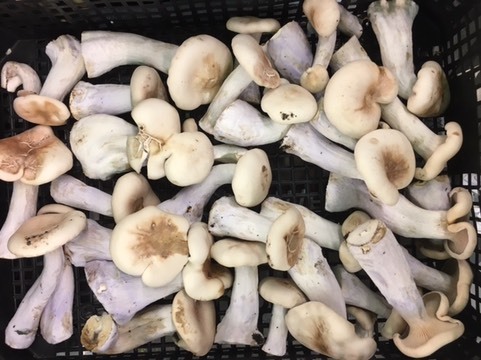 The first batch made an appearance last night. Again the price is still on the high side so give it time. Happy New Year everyone! 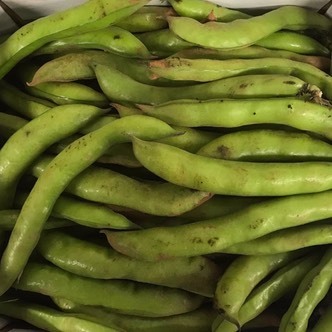 There's a lot of doom and gloom surrounding fresh produce supply at the moment so we thought we'd start off with a showcase of the ingredients that are getting us out of bed during this cold start to the year. Scroll down to the end for the news that's giving us the January blues. 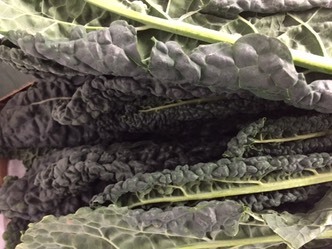 Homegrown brassicas are on top form, we've had some top notch Brussel Tops, Kale, Cavolo Nero and Savoy cabbage being supplied from our Kent growers. There's a shade of green for every plate and prices are reasonable. 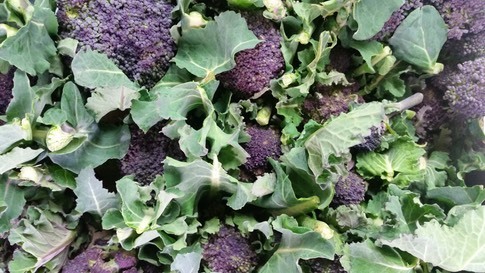 It's been a slow start to the season for Purple Sprouting Broccoli this time around. Volumes are now starting to pick up but this may be impacted by the cold snap due to hit this weekend. 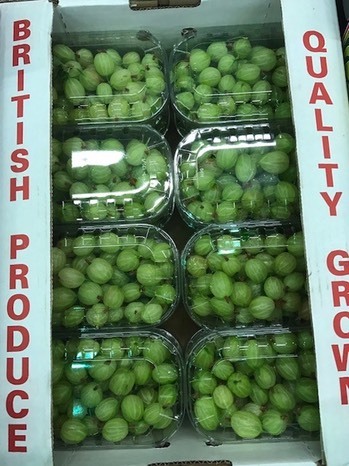 Quality is good but as supply is tight prices are a touch high. 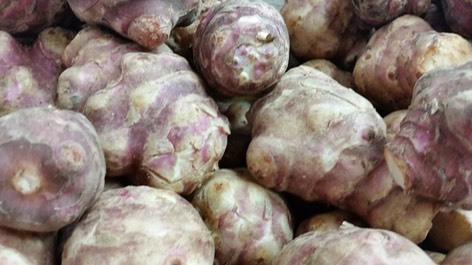 Root vegetables are also a good choice at the moment. 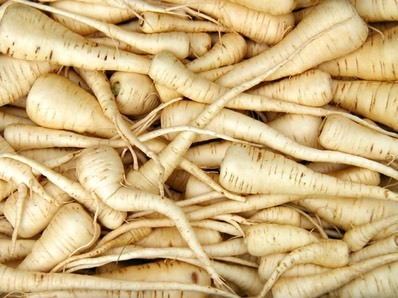 Celeriac, Jerusalem Artichokes, carrots (including Chantenay), parsnips and beetroots are all recommended. 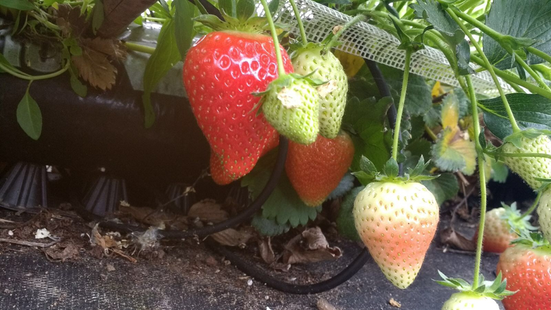 In a rare bit of good news from the continent, strawberries and Seville Oranges from Spain are looking good. 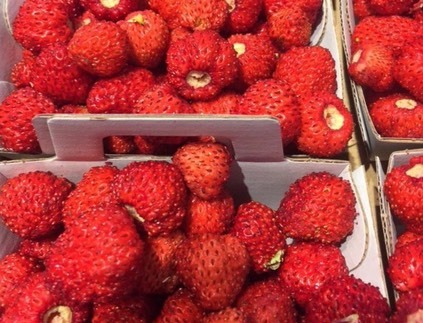 Prices and supply on both items are good at the time of writing but this may be about to change! 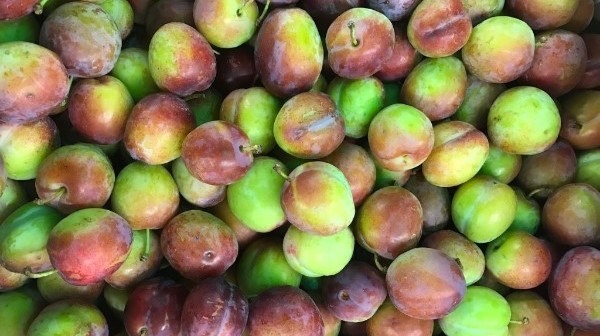 Now for the bad news.. As you may have seen in our previous posts, Spain, which grows the vast majority of fresh produce that arrives into our markets during the winter months, has been experiencing some extreme weather conditions for several weeks now. 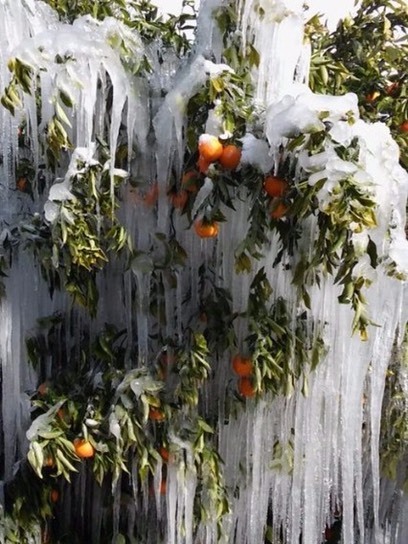 Italy has also now been hit with some freezing conditions. 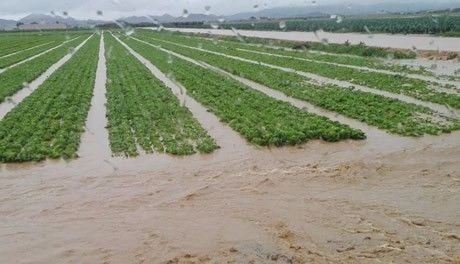 Growers of ground crops, especially salad items, are facing some very challenging conditions caused by heavy rainfall and severe flooding in some areas. We expect baby salad items to be in very short supply for the rest of the Spanish salad season. 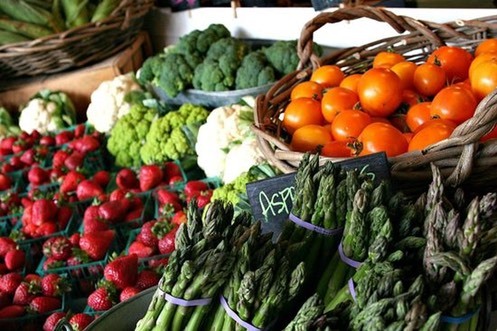 Prices will be high on these and also other lettuces such as Gem, Frizze, Cos and Iceberg. 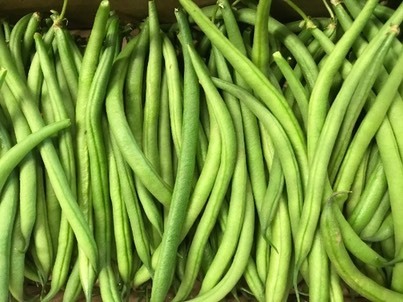 Supply of other vegetables are increasingly being impacted by this situation. 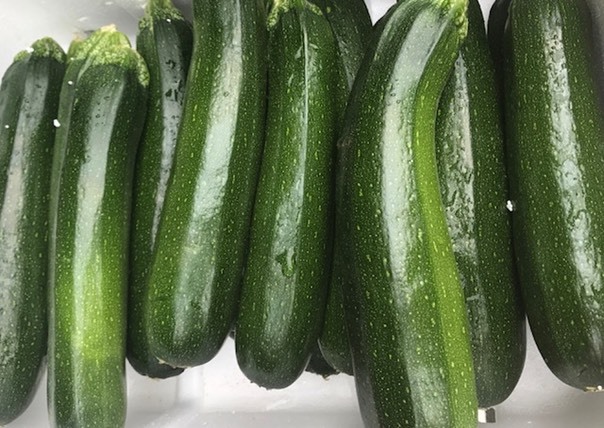 Broccoli, courgette and aubergine prices are rising sharply. 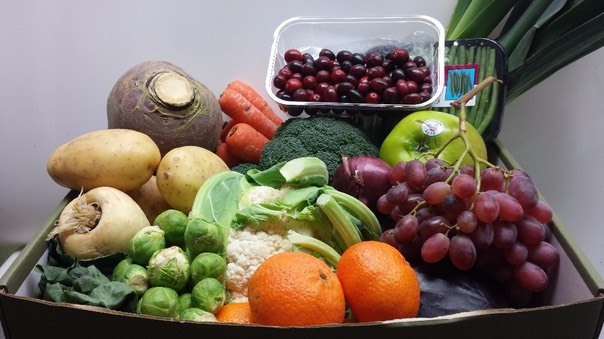 Cauliflowers may also be affected if the current freezing conditions in the UK affect our homegrown supply. 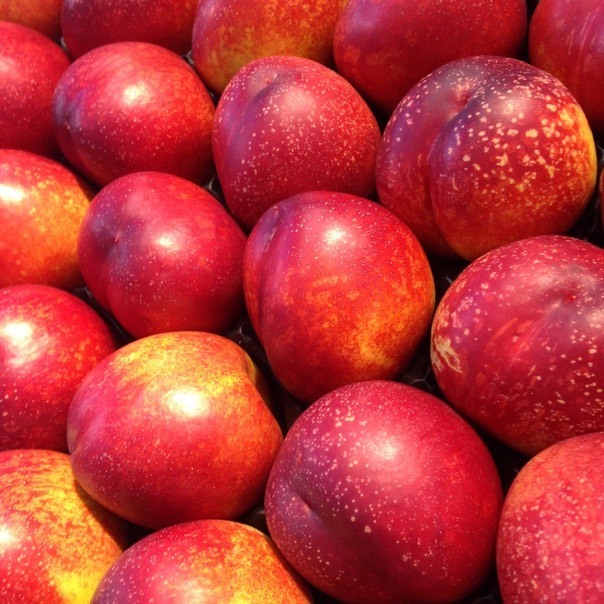 Other potentially affected items include Plum Vine Tomato, rocket, lemons, limes and other citrus fruits. 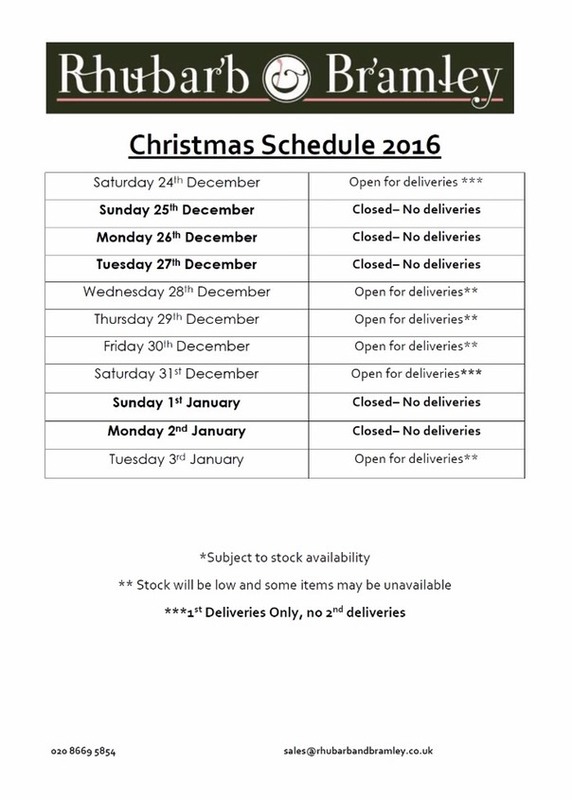 Please take this into consideration when planning your menus and placing your orders with us. 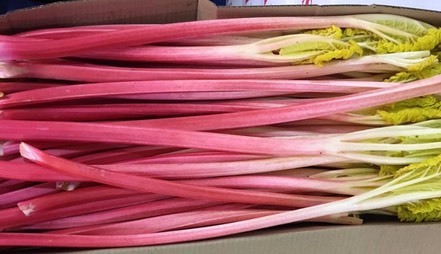 We'll sign off with this stunning Forced Rhubarb from Yorkshire which thankfully is still growing strong! 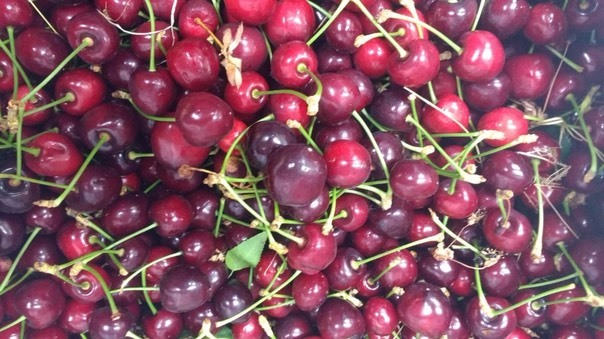 Two of our winter favourites are recent arrivals in the markets. 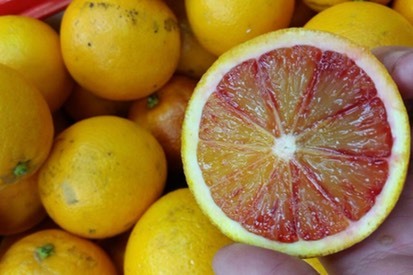 Blood oranges from Italy have just started with a decent amount of colour. 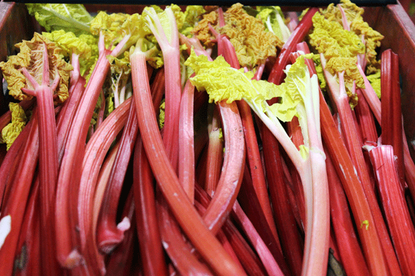 Forced rhubarb from deep inside Yorkshire's 'Rhubarb Triangle' is also available now to those with deep pockets. 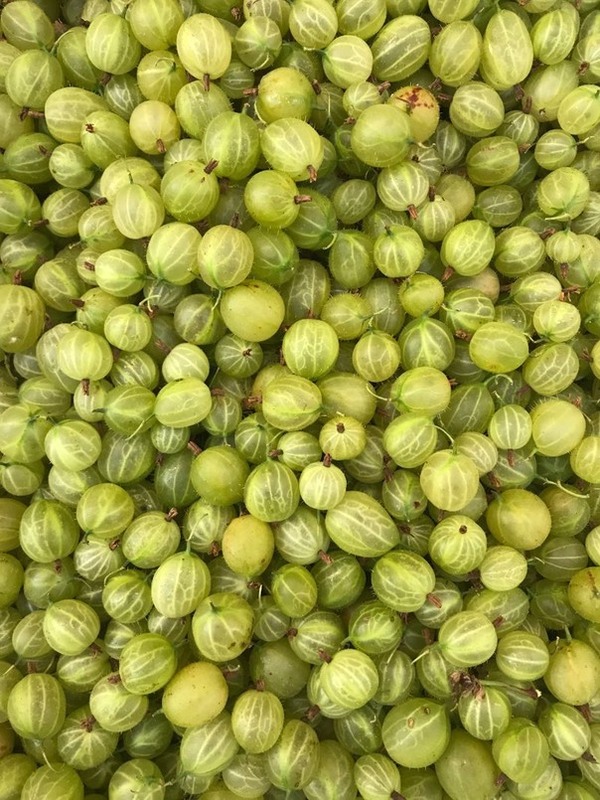 Scare stories of a sproutless Christmas are a little off the mark, however supply is tight so pre-ordering is advisable. 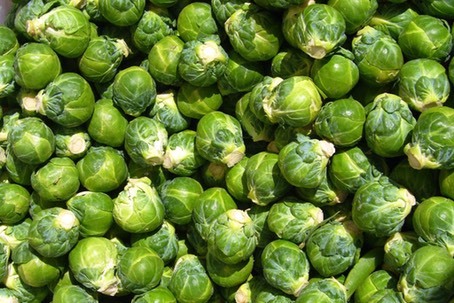 Prepped sprouts are extra pricey this year too. The rest of your Christmas staples are looking good. 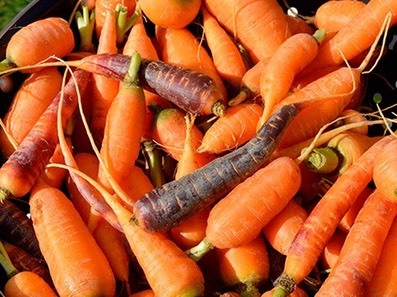 In particular root veg is on top form, chantenay carrots, parsnips and piccolo parsnips are our top picks. 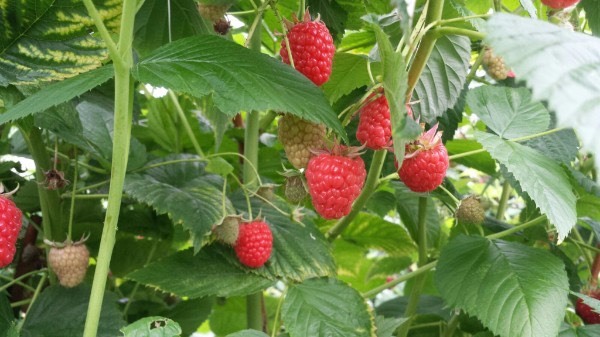 You can find�Rhubarb and Bramley's schedule for the coming weeks below. 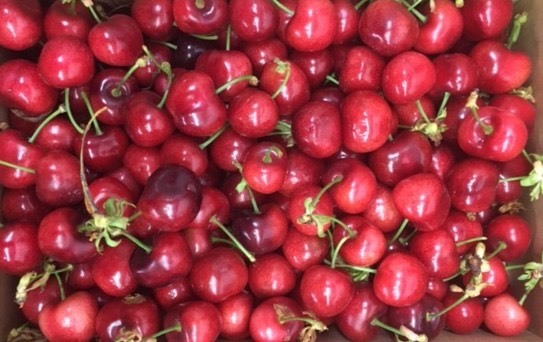 Merry Christmas and a Happy New Year from everyone at�Rhubarb and Bramley! 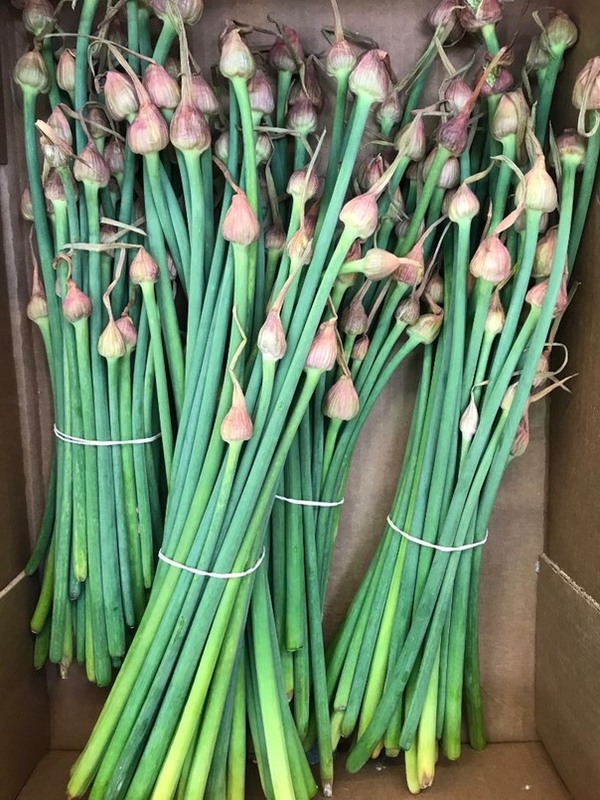 We dropped in to local greengrocers and florists Rhubarb and Bramley�this week where Christmas preparations are well underway! 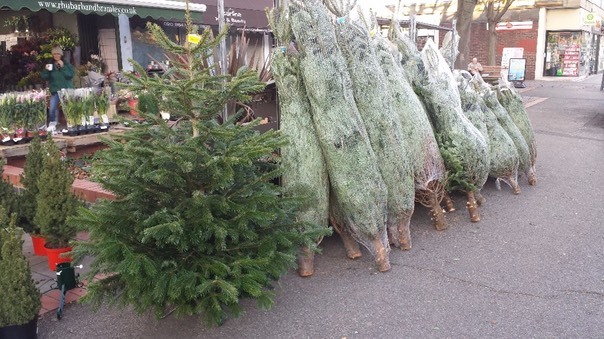 There are trees for every space and every home lined up outside and this family-run local business are offering free local delivery (and set up if you ask nicely!) They've also got those all-important stands if you can’t face digging yours out of the loft or shed this year. 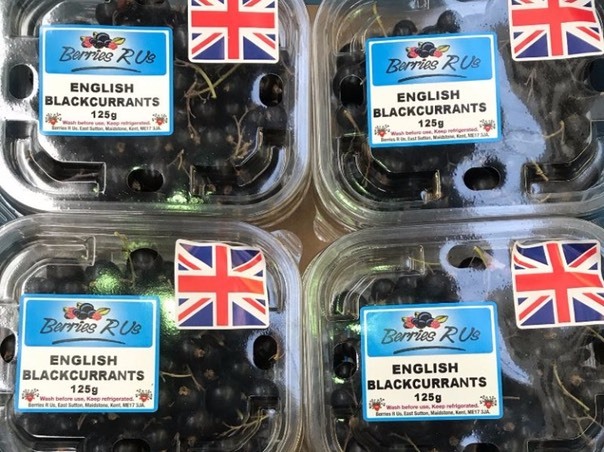 You can find out more about the contents of the boxes on the website where you can place your order and pick a delivery date in the run up to Christmas. 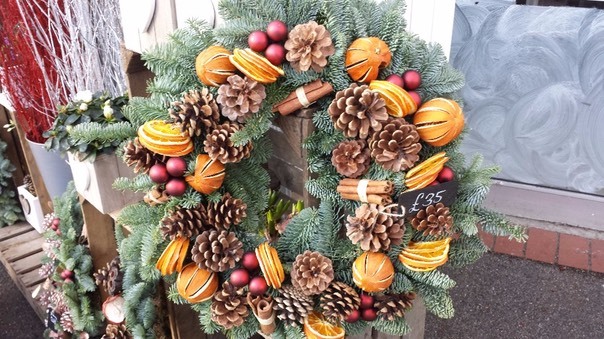 The stunning decorated wreaths are handcrafted by in-house florist Anne-Marie and her team; there are a range of sizes with prices starting from �29.95. 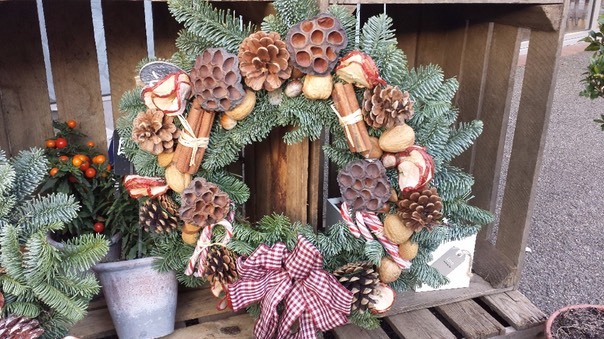 Wreaths can be created to order or you can choose from one of the many that will be available in the shop already decorated. 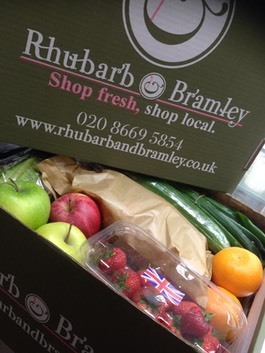 Dave from Rhubarb and Bramley told us, "All of us in the shop look forward to the Christmas period. 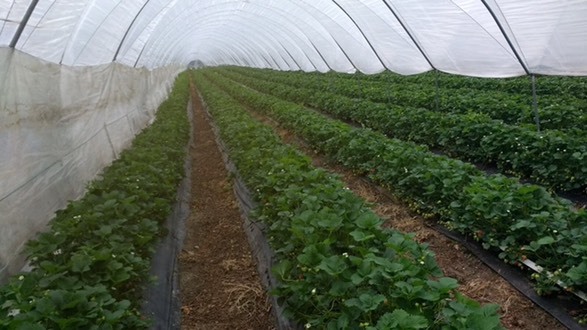 There's a lot to do but we know that with our years of combined experience we can handle everything and make sure our customers get what they need hassle free." 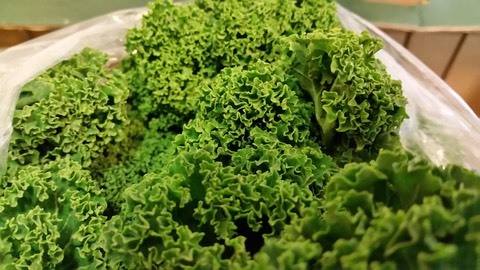 Kalettes are definitely in this season, expect to see them everywhere! 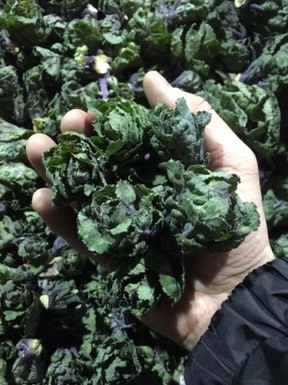 Also known as Flower Sprouts, this frilly vegetable is the result of crossbreeding between Brussel Sprout and Kale plants. 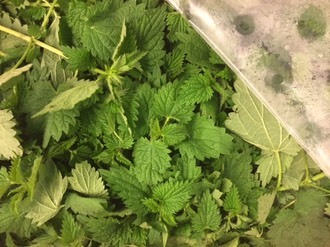 The clever cross loses the bitterness associated with its two parents and leaves you with a nutty and sweet flavour. 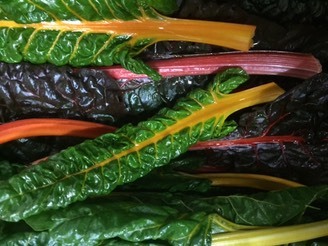 Rainbow chard is the most colourful homegrown veg you are likely to see at this time of year and it's looking stunning at the moment! 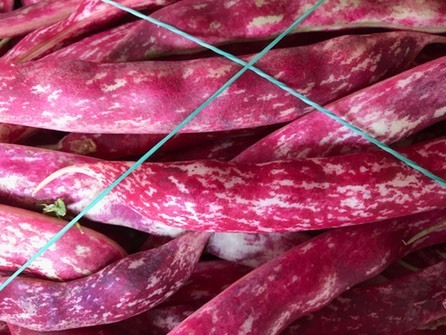 Not locally grown but veg from the continent is also providing us with some colour. 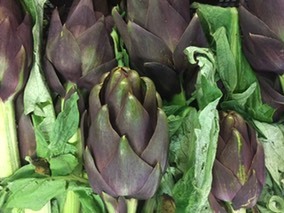 These Violet Artichokes and red spring onions in particular stood out on buyers walk. 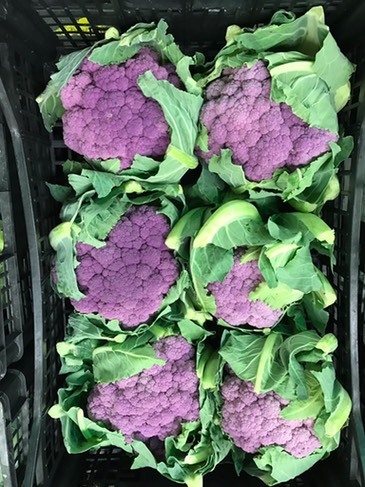 Romanesque and coloured cauliflowers are also looking good but as you may have seen these are likely to be very expensive so call the office for prices. 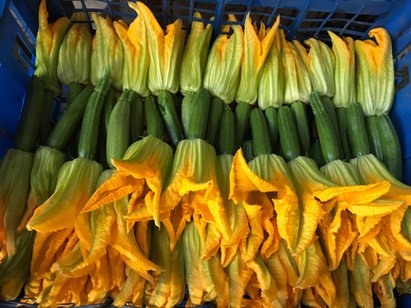 Trompette courgettes were an unusual find; if you are intrigued give us a call before ordering for prices. 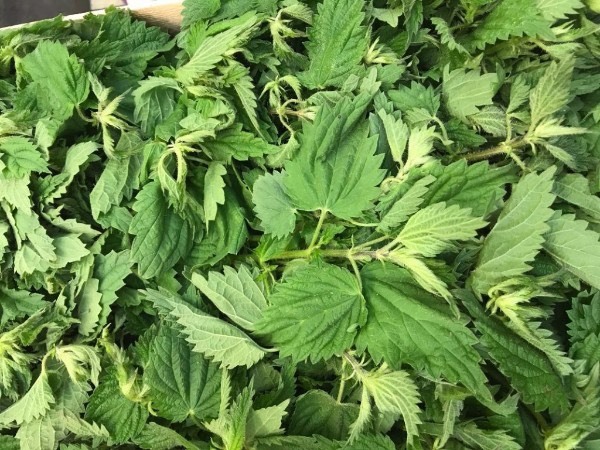 Nettles have started early this year but availability is limited.